Do at your own risk !!! If you don’t want to lose data, a backup is needed. You are using a BlackBerry BB10 Backup Link . Then BB10 using a USB cable connection to a PC or Laptop . Wait until the process is complete and your BlackBerry will restart . 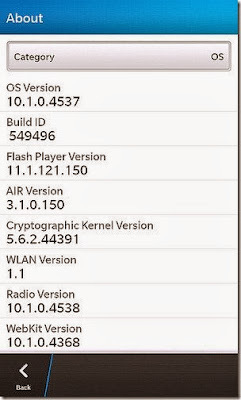 0 Respones to "Download Leaked BlackBerry OS 10.1.0.4537 for Q10 SQN 100-3 & Z10 STL 100-1 & 2"